202 years ago this month, the show trial of a handful of Luddites ended, and men were hung at York Castle after a ‘Special Commission’ at York Assizes. They built the scaffold unusually high, so the crowd of thousands could see the men die, like a farmer hangs a few crows pour encourager les autres. On January 8th 1813, Longroyd Bridge croppers George Mellor, William Thorpe and Thomas Smith were hung for the alleged murder of mill-owner, William Horsfall. 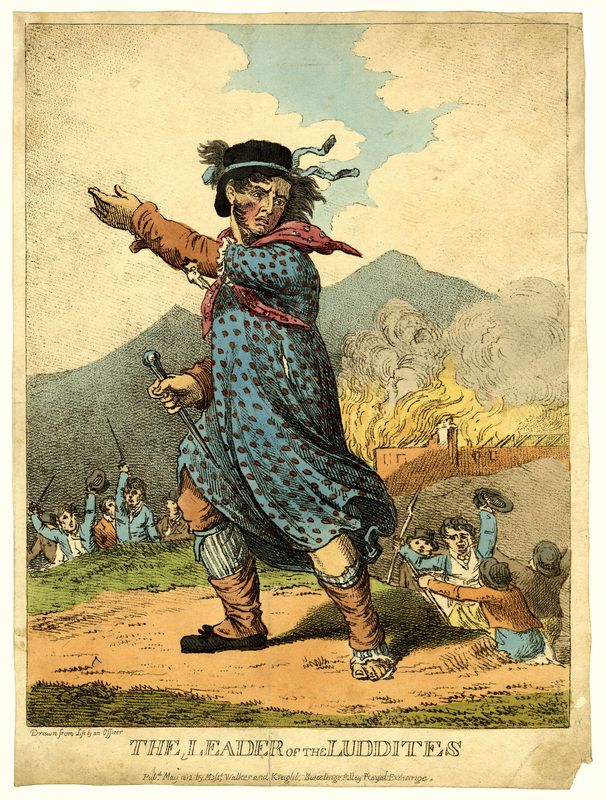 Mellor was said to be the West Riding’s ‘King Ludd’. Only 23, he was literate, intelligent, charismatic – a born leader. Evidence has recently come to light that the ‘Guilty’ verdict was decided by the government, weeks ahead of time. The three men’s bodies were dissected at the County Hospital in York, to obviate the possibility of martyrs’ graves. Patrick Bronte is said to have quietly, at night, officiated over the burials of Luddites killed during the Rawfolds raid, in an unmarked grave, when he was vicar at Hartshead. Reporters noted the York crowd watched the hangings in baleful silence. Maybe they knew it was more about preventing Yorkshire folk of all trades from ‘combination’ (developing trade unions) than it was about the death of Horsfall. Horsfall’s own funeral had necessarily been a low key affair at Huddersfield parish church. On January 16th, fourteen more men were hung for the attack on Rawfolds Mill and stealing arms – when I read court accounts in the newspapers, it struck me that many had brought credible witnesses to court who gave them solid alibis. So it is not even clear if all the hanged men were even Luddites at all. The hanged men were: John Ogden, Nathan Hoyle, Joseph Crowther, John Hill, John Walker, Jonathan Dean, Thomas Brook, William Hartley, John Swallow, John Batley, Joseph Fisher, James Haigh, James Hey (or ‘Haigh’) and Job Hey. Some of those surnames may be familiar to anyone with West Riding ancestry. Horsfall of Marsden near Huddersfield, had indulged in a spectacular piece of what can only be described as trolling. He had boasted he was going to install new shearing frames even if it meant he had to ride upto his saddle in (the workers’) blood. Riding back from Huddersfield market, across moorland, Horsfall was shot. We know the Horsfalls stayed in the wool trade in one capacity or another, as a Horsfall descendent donated this rare example of a knitted Welsh Wig to St Fagan’s Museum, documented and pattern by the marvellous Sally Pointer. Throughout 1812,government agents had infiltrated the Luddite movement. Westminster dispatched spies to participate in “twissing in”, the secret initiation ceremony where Luddites were “twisted” (like threads spun into yarn) into service. Laws were rapidly passed so even uttering the words of the twissing in ceremony was a capital offence. Far from lobbing a few stones, the Luddites were organised like a military operation, and armed themselves by raiding remote farm-houses for firearms, which they then drilled with on moorland, so they could attack the mills and break the machines that took away their livelihoods. They raided in disguise, blackening their faces for camouflage at night. Many were well read, autodidacts not the backwards-looking, destructive neanderthals of myth but politicised, skilled craftsmen (Craftspeople were always, historically, hard for those in power to pull into line – many were early supporters of the Parliamentarians in the Civil War, for example). 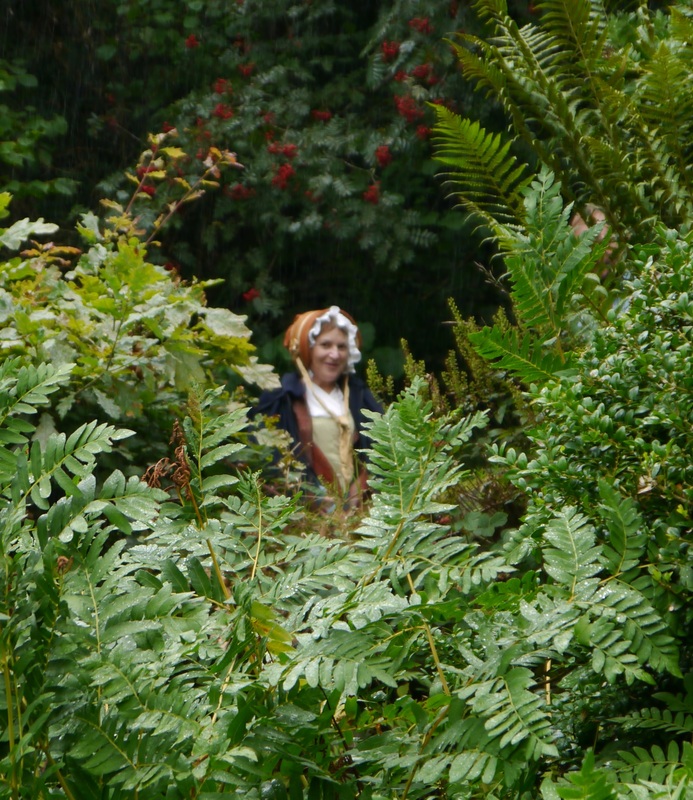 In the West Riding, weavers and croppers were notoriously Non Conformists and free thinkers. Croppers, or ‘shearmen’, had for some time had an effective proto-trade union but the 1802 Combination Act threatened this, making trade unionism illegal. Thomas’s son, Tom (my great-great grandfather) was to become a cropper but his career was post mechanisation of the process. Thomas Lister the elder was the same age as some of the arrested Luddites and he moved to Longroyd Bridge in Huddersfield, somewhere between 1811 and the early 1820s. Both Halifax and Huddersfield were at the epicentre of the Luddite movement – a government agent described a twissing in ceremony witnessed in a Halifax pub. As weavers/croppers, actually at Longroyd Bridge – where the Luddite ‘ring-leaders’ were based – it is more than possible my ancestors were caught up in the conflict, either in Halifax or Huddersfield. I have always hoped they were! In late 1812, before the York show trial, over a hundred ‘Luddites’ were arrested and imprisoned at York Castle. I have yet to trace the men on the prison calendar, but when I do, would not be remotely surprised to find a Lister in there, somewhere. Another great x 3 grandad from this time is Tom Smith, a Longwood (Huddersfield) clothier. Sadly with just about the most common name in England at these dates, that makes it hard for me to find out whether my Tom Smith (born 1799, and lived for many decades after this time) was related in any way to the Huddersfield Thomas Smith who hung alongside Mellor. Like the hanged men, both my Smith and Lister ancestors were Non-Conformists – baptists and methodists. The second batch of hanged Luddites sang a methodist hymn on their way to the scaffold. Croppers (sometimes called shearers or cloth dressers) were usually seen as the most skilled of all craftsmen in the wool trade; they raised and cropped the nap on finished cloth. One nick of the shears and the entire piece, representing hundreds of hours of work, was ruined. When a cropper finished, he added great value to the finished cloth. So, croppers were the highest paid textile workers. An apprentice cropper would have to work heavy shears which was agony til a ‘hoof’ (callous) developed on his hands. This took time. 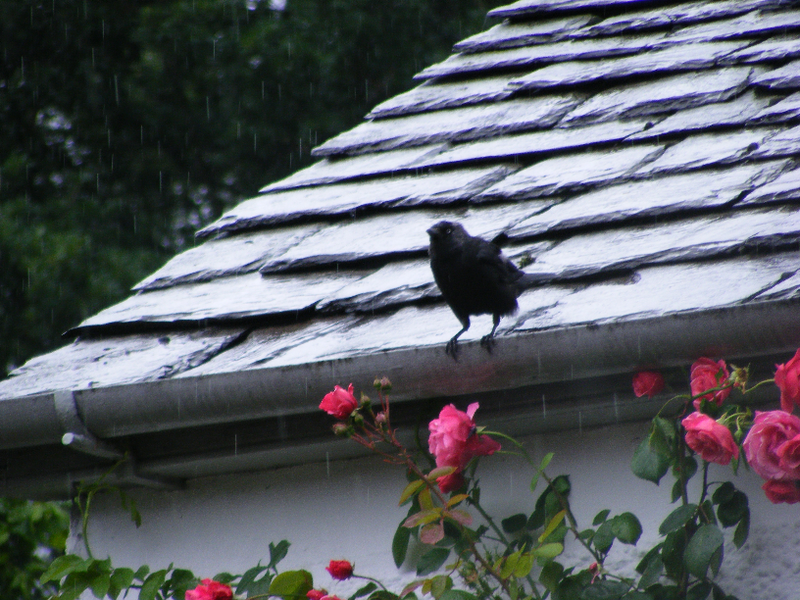 They also had to develop incredible upper body strength and stamina as well as skill. They had a reputation as hard drinkers and men not to be messed with. I’ve written elsewhere about my relatives, the Huddersfield aniline dyers, the Dawsons, who were active in setting up Mechanics’ Institutes in the West Riding, to educate the working classes. But even before the Mechanics’ Institutes, many in the textile industry were educating themselves. Conflict was inevitable when crude machinery was developed – the gig mill and shearing frame which saved employers’ labour costs: “… a machine managed by one man and two boys doing the work of eighteen men and six boys…” (Lipson, p.189). 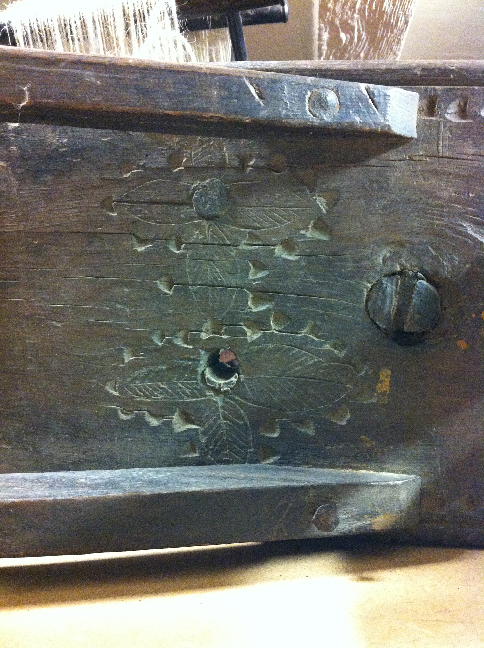 Early shearing frames were not even very good at cropping. But employers persisted with them for obvious reasons. So the irresistible force hit the immovable object as the suppressed – and now soon to be unemployed – workers, clashed with the struggling employers. Mills like Rawfolds were heavily defended by armed soldiers. As the Peterloo Massacre showed, early nineteenth century governments were never slow to fire on their own (disenfranchised) citizens, if it suited their aims. The textile industry drove the development of capitalism, more than anything, in the new, industrialised world and these men were amongst the first and the most dramatic casualties. Government had ended their ability to combine together and fight for better wages, or better working conditions. What else were they supposed to do? The whole episode was during the Peninsular War and yet there were more soldiers in Yorkshire, than on the Peninsular. In 1812, there were a thousand soldiers stationed in Huddersfield. A city of only ten thousand people… In other words, there was a very determined effort by the powerful, to smash the rebellion before it got out of hand. In 1812, the law was changed so that the penalty for breaking a machine was death: it had previously been transportation. They didn’t rage against all machines – just those that took away a craftsman’s skill forever and replaced it with something that was not improving the quality of the cloth at all. I am proud my ancestors were weavers/croppers at the height of Luddism and in the eye of the storm. The concerted effort to stamp out this workers’ movement, was effective. After the show trials, some of those still held at York Castle were transported. Others were quietly let free. The Luddites were effectively crushed by the state yet I’d suggest they accomplished something incredible. They planted the seeds which, a generation later, were to become the Trade Union movement. If their voice was silenced brutally by the government, it re-emerged later in a groundswell of opinion that ultimately led to universal suffrage and rights for millions of people in the earliest industrialised society on the face of this planet. If you would like to attend a (free) workshop on Tracing Your Textile Mill Ancestors, come and see us at Armley Mills (Leeds Industrial Museum) on June 6th. I’ll be there with our Living History Yorkshire Luddites group giving a workshop on how to find your textile industry ancestors, and what their jobs actually were! I’ll post details nearer the time. Teasles seen on a bit of wasteland, near Escrick, North Yorkshire, yesterday. 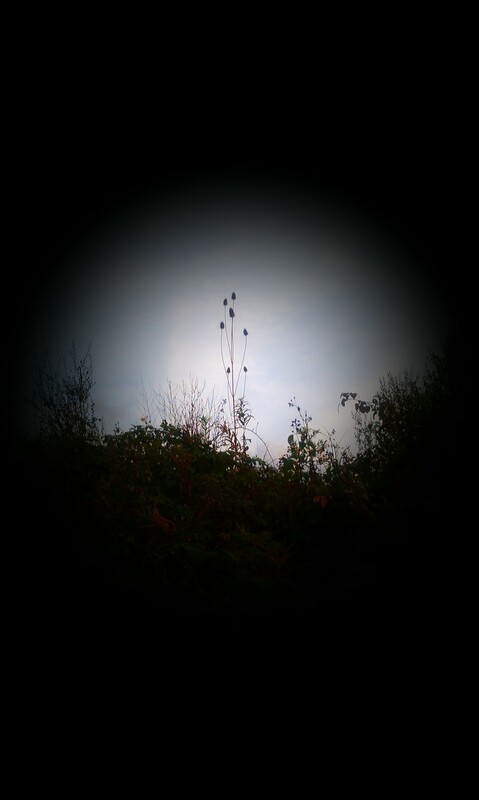 They were growing deep into a high ridge of brambles; too inaccessible for us to go and get a closer shot, but here are some teasles in the wild. On Saturday, we were Luddites at Armley Mills, Leeds Industrial Museum, for the launch of Wool Week. We were in the weaver’s cottage, built in 1790. It was absolutely fantastic and we loved it so much, we hope to return very soon, to have a proper look round the site. And hopefully, drop off some copies of ‘The Old Hand-Knitters of the Dales’ in the museum shop. We spun on the Great Wheel, and had some fantastic conversations with members of the public – including one rather accomplished spinner who had a go for himself on the Great Wheel. People were especially taken by the repro Dales gloves we had on display and we had a lot of interest in ‘The Old Hand-Knitters of the Dales’ (which contains a pattern for the oldest extant dated Dales glove, the ‘G.Walker 1846’ glove kept by our old friends at the Wordsworth Trust, in Cumbria. All this made me think we should make a separate page here, for ‘The Old Hand-Knitters’. I will link to it, when it’s live. 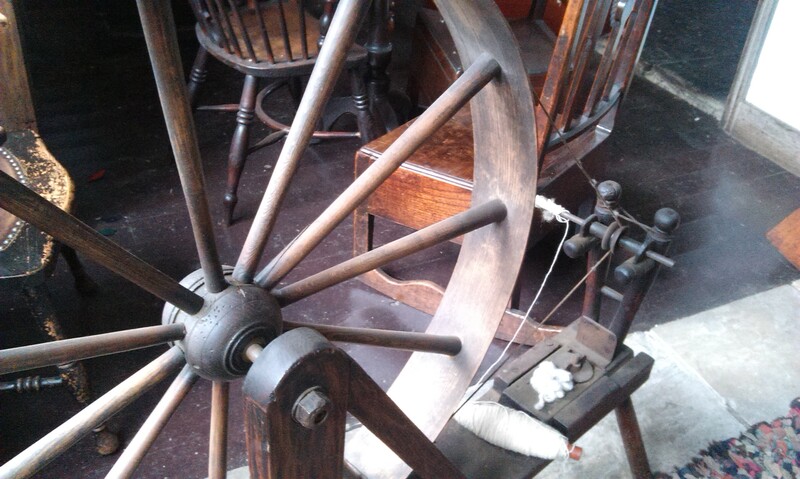 We shared our weaver’s cottage space with an intriguing small Great Wheel; either one for someone seated, or possibly used for children in a spinning school, originally. And also a large, freestanding skein winder. This week I have been mostly spinning yarn for Spinzilla. I only decided to enter a couple of days before the deadline, on impulse. 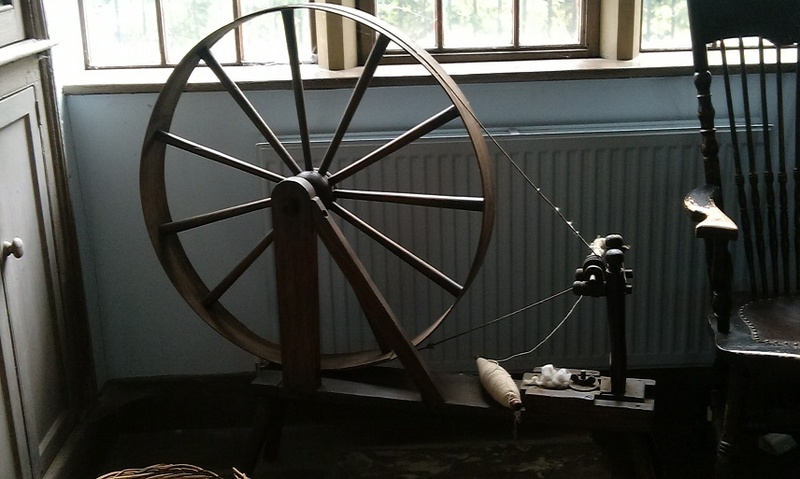 And had to spend one of those days preparing rolags to spin at Armley and another day at the museum, so didn’t have time to spin many rolags for woollen English longdraw spinning. As a result, I ran out of rolags on the second day and spent yesterday worsted spinning, which is considerably slower. Over the summer, I was trying to figure out precisely how much spinning the 18thC handspinner could churn out in one week. I took the “I can spin the yarn for a gansey in 30 – 40 hours” as a challenge and managed to spin the yarn for a gansey in 12 hours. So I thought maybe my worsted spinning was not a lot slower than my woollen. It appears to be considerably slower. Heard from the editor of a certain magazine that the photo shoot for said gansey went very well and it is looking good in the shots, and on the model. That was a relief as when you spend so long on one project, you’re too close to it to see it objectively and I wasn’t sure whether I’d pulled it off. There was less spinning in a gansey than I’d imagined, though. And when I recover, I will definitely spin another – the saving in £s alone justifies the work. 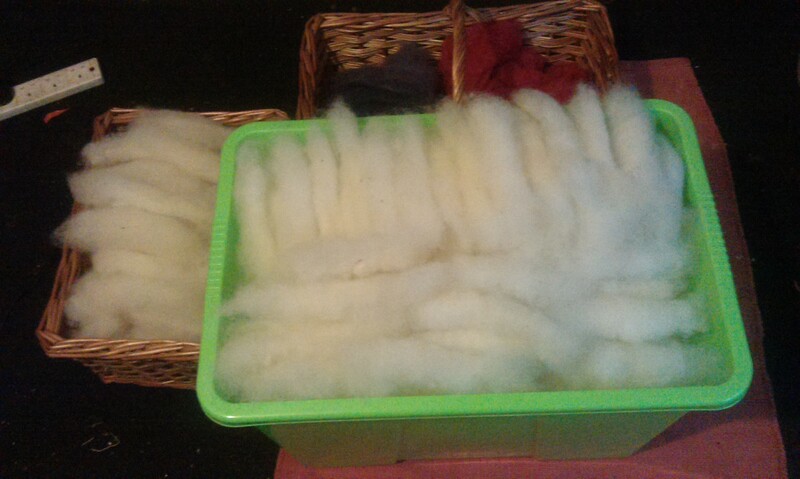 When it came to Spinzilla, either way I discovered I needed to card much more than just 1lb of fibre for a week long spinning session. Next year, I will enter Spinzilla after a week of carding! I haven’t figured out my entire yardage per day, yet but will break it down for yous next week. It would be fun to enter the challenge next time with the Great Wheel and a mountain of rolags. But this time I have been spinning on the Timbertops chair wheel. I had some leftover rolags from Armley and did manage to hand-card 1lb of Lleyn. The smallest of these 3 baskets contains logwood and cochineal dyed Boreray. That small basket is a large bike basket – the big green box full of Lleyn is MASSIVE! All spun in under two days though. Shows how relentless the carding must have been to supply one spinner. 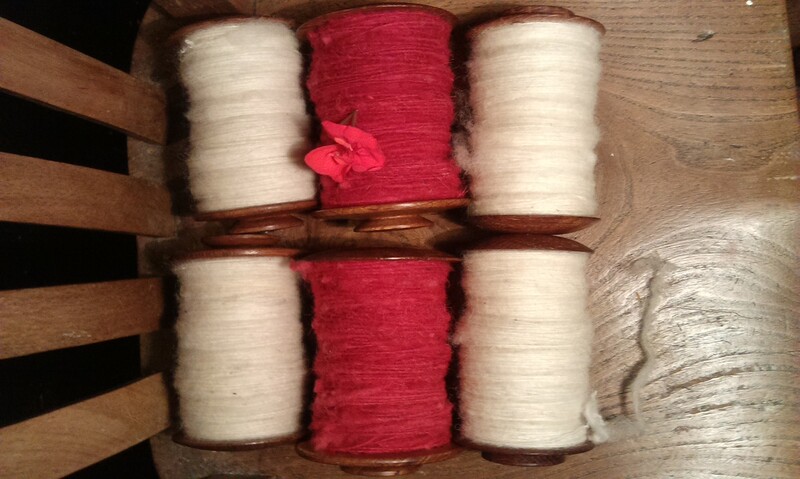 I am off to spend some of my precious spinning time drum carding a bit more Lleyn. Then I will have to spin whatever I can find, semi-woollen (or semi-worsted, depending on how you look at it). Too slow to give me any chance of winning, but at least by the end of the week I should have some wool spun! Which is a good thing, as I came back from Masham Sheep Fair with three fleeces that unaccountably followed me home: a Manx Loghtan, a Whitefaced Woodland and a very beautiful grey Shetland… And I can’t start on them til I have cleared last year’s backlog of Lleyn and Boreray! Progress so far on my Pinterest board. Some of Day 2’s spinning – Lleyn (white) and Boreray. Got a parcel, this morning. Getting parcels is always brilliant, but this was a particularly brilliant parcel. 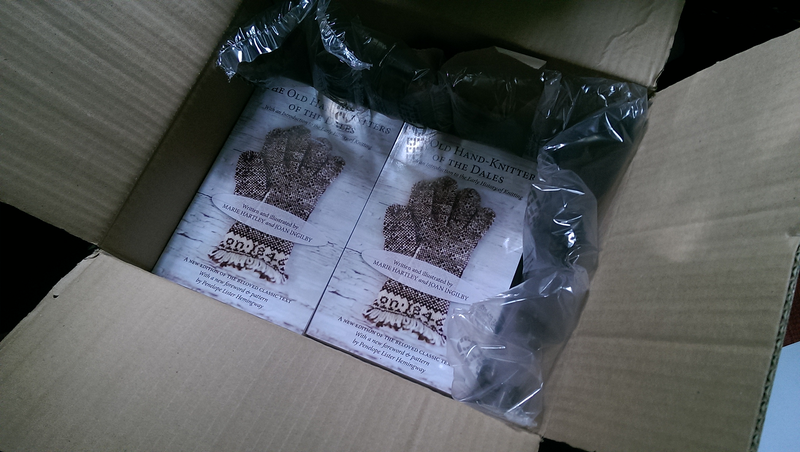 Some print copies of ‘The Old Hand-Knitters of the Dales’. These will be distributed around the shops of museums in the North of England who helped us during our period of research. I will put up details soon. 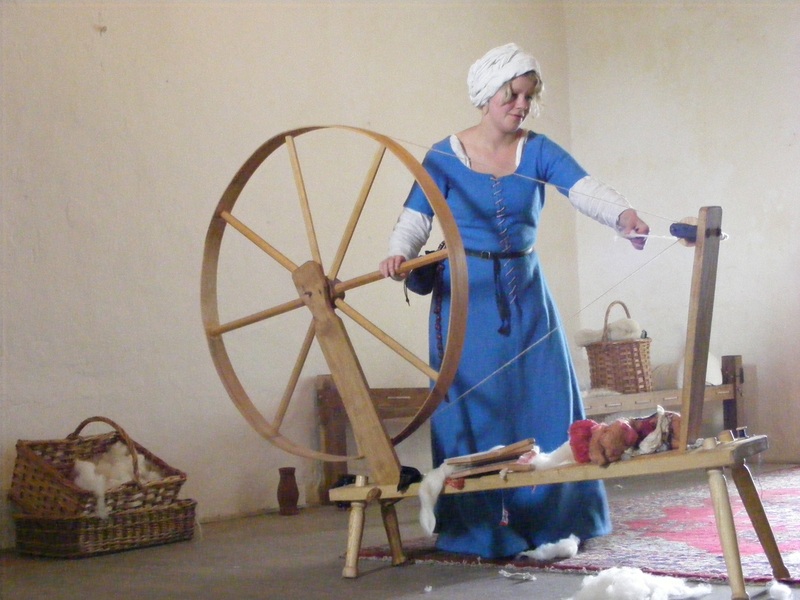 On October 4th, I will be at Armley Mills Industrial Museum in Leeds for the launch of Leeds Wool Week, being a Luddite (in costume) and will do workshops on great wheel spinning and ‘Knitting the Old Days Way’. (Details to be posted, soon!) Would love you to come along and learn about spinning and knitting the old Dales way. Will have a few copies for sale with us on the day, so if you want to buy one – ask a Luddite!